Young Men Surviving Child Sexual Abuse examines a largely neglected area in child protection: the sexual abuse of boys. Andrew Durham, a consultant social work practitioner, describes his original research undertaken with young men close to or in the midst of adolescence. 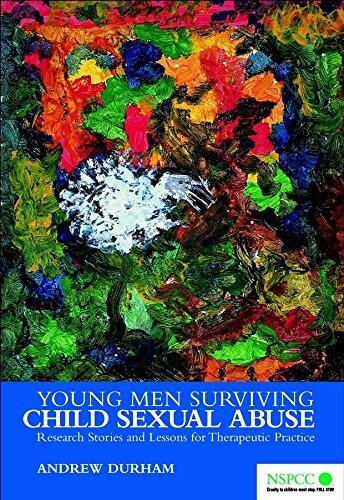 The book features extensive narrative, as the life story approach taken allows the young men to theorise their own experience and to understand how and why child sexual abuse has had a harmful and long lasting impact on their day-to-day lives. 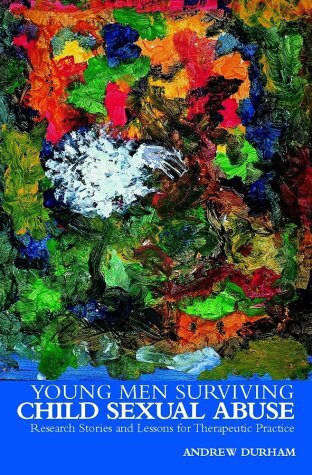 Alongside the research stories the author presents a theoretical framework for understanding male sexual abuse, as well as a wide range of accessible practice materials. This book will be invaluable to those working with children and young people who are recovering from child sexual abuse. Andrew Durham has a PhD in Applied Social Studies from the University of Warwick that researched into the impact of child sexual abuse. He also has the Advanced Award in Social Work (AASW). He has over 20 years’ experience of providing therapeutic services to children and young people and is a specialist in post-abuse counselling and interventions for children and young people with sexual behaviour difficulties. He is currently the Consultant Practitioner for the Sexualised Inappropriate Behaviours Service (SIBS) in Warwickshire and a visiting lecturer at the University of Warwick. He also occasionally works as an independent childcare consultant, undertaking therapeutic work with children and young people, consultancy, lecturing, and training. He is registered with the Law Society as an expert witness and has been an advisor to the BBC. He has previously published papers and chapters on the subject of child sexual abuse.